Anyone who has seen the movie About Time will recall the scene where the protagonist Tim, meets the love of his life, Mary. They have a meal together in a darkened restaurant, with no idea of what the other may or may not look like. I remember thinking: “that is such a weird and wacky thing to do”. Then, I moved to London, a city that is chocker block full of strange activities; certainly one of the things I like most about living here. Imagine my excitement in realising that that restaurant actually existed, wasn’t all that far from where I live and had online reservations. I booked a table there, immediately. Dans Le Noir? 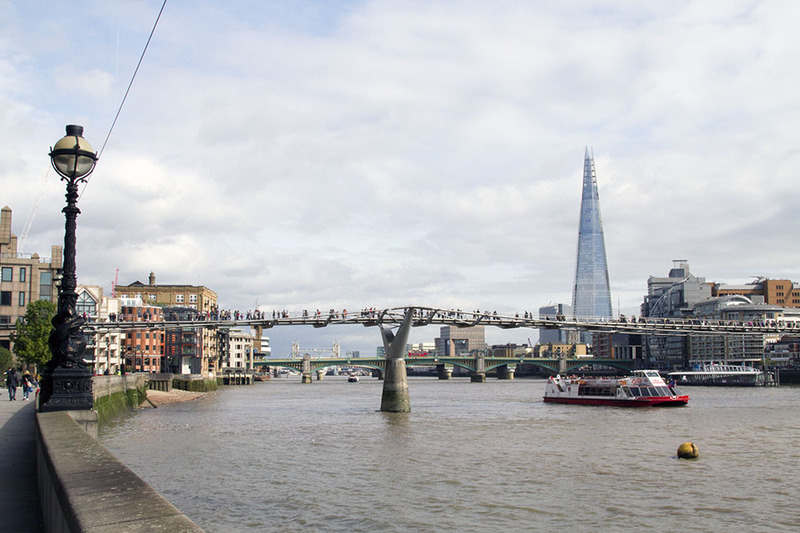 is located in Clerkenwell Green, a two minute stroll away from the Farringdon Tube Station. Upon arriving at the restaurant, we were greeted by a hostess. She presented us with a locker key and a card to use on the bar. We were then instructed to lock our valuables in the safe, along with anything that would emit light, such as a mobile phone. The façade of the restaurant was quite unassuming. We stood at the bar, sipping on our respective beverages and wondering when the show would get started. About fifteen minutes after we arrived, a host came up to us and asked which meal choice we preferred. You are given the option of having a two course meal of either entrée and main or main and dessert, or all three courses for an extra charge. From there, you can select from four choices – vegetarian, meat, seafood or “surprise”, which can be a wild card of generally anything. Neither of us had to think long nor hard about this one… The choice had and always would be seafood. Shortly after, we were summoned into the centre of the front of house, along with two other couples. They took us down a dark hall and introduced us to our server. I was at the front of the very small queue and was instructed to put my arm on her shoulder. I complied. The others followed suit and we dutifully shuffled after our waitress through one curtain… then a second… into darkness. One by one, we were guided into our seats. The tables were small – I was sitting knee to knee with my fella and striking elbows with the girl next to me. This was taking the term “intimate dining” to a new level! I realise this photo has nothing to do with this post. There was really only so much I could take photos of. Our waitress for the evening returned with our drinks, placing them on the table and telling us to use our fingers to determine when to stop pouring water into the glass. I managed to fill up two glasses without spilling a drop of water. I don’t think I’ve ever achieved this when equipped with my sight, let alone in complete darkness. As we waited for the first course, I sat there awkwardly, not sure of what to do. I was acutely aware that anything I said would be heard by our neighbours. This led me to evaluating everything that came out of my mouth, which is something I can assure you that I never do. It was exhausting and I was somewhat relieved when the food arrived. There are two reasons that Dans Le Noir? differs from your average restaurant. The first is obviously that you are eating your meal in the dark. The second is that you have no idea of what you’re putting in your mouth. Apart from assuming we were being provided with fish (as there is nothing wrong with my sense of smell, I can assure you that we were definitely eating fish), we really had no idea of what we were consuming beyond that point. “I think she said it was salmon and apple?” My boyfriend said as we started on our entrées. “She’s not supposed to tell us what it is,” I replied. The first and second course looked much like this. Oddly, after thinking we had been told what we were eating, that’s what it started tasting like – salmon and apple. Weird mix, I thought, as a I shrugged and tried to put the food in my mouth. Eating in pitch black is an unsettling experience. In my head, both society and my father (my parents live across the other side of the world, yet are permanently in my head) were telling me I should endeavour to eat my with my knife and fork, as it is considered the “polite thing to do”. I wanted to take advantage of this opportunity by throwing my utensils down and digging into my food, cavewoman-style. I really did do my best to try to eat like a civilised person (by Western standards at least), but the problem was – I couldn’t see what I was doing well enough to handle my knife and fork. In the end, I settled for a strange sort of compromise – using my hand to place my food onto my fork, which I would then eat off. I can’t imagine what that would have looked like, but it felt messy. In this instance, I was thankful for the dark. Whatever it was we were consuming was delicious. After we had finished our meal, we sat there awkwardly, eavesdropping on the conversations of the people next to us. That was the one problem with dining in the dark – you were completely reliant on your server. On top of that, there was no way to get their attention – you had to wait for them to come to you. Only two at our table had ordered dessert, so we and the other couple waited while they chowed through their meal. Thankfully, our server came along and asked us whether we wished to leave. We leapt at the chance. Standing up, she led us once again single file, out through the curtains. We emerged, blinking, into the light. Turns out we’d been completely wrong. We discovered it was swordfish we’d consumed, not salmon. I’d unknowingly eaten tomato, a food I often vehemently declare to hate. I’d devoured it without complaining and had even half enjoyed it. My boyfriend assured me that it was something I wasn’t going to live down anytime soon. 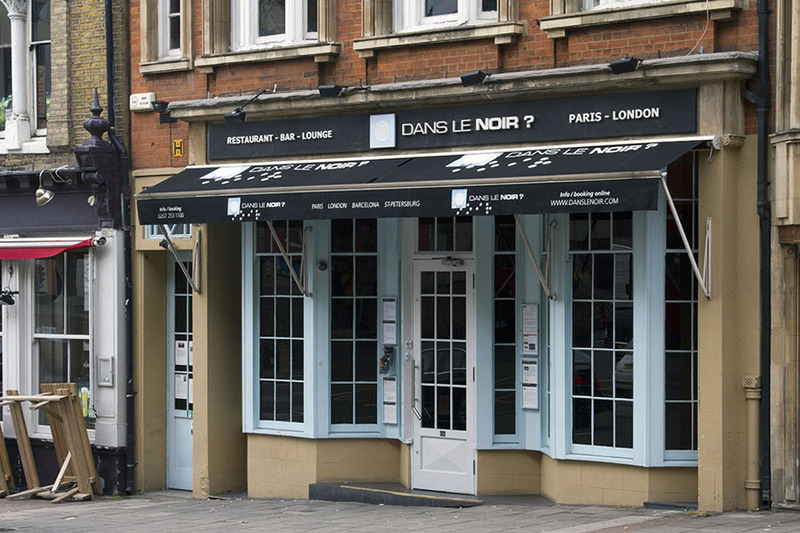 At £44 a head for two course (£55 for the three), Dans Le Noir? is not a cheap experience. I completely understand why the price might put you off, especially in a city like London where everything from rent to public transport is so cheap and affordable. It was explained to us in the menu that the prices were set as high as they were for a series of reasons. One was the fact that the restaurant does actually employ blind staff – certainly one of the aspects that I liked most about it. Yet, it is a restaurant, not a charity and as they are operating in the dark, they need to cover themselves in terms of insurance. The food is delicious – it definitely tasted like quality cooking to me. On top of all that, you’re eating in the dark! I’d pay extra for that kind of novelty factor any day. The only thing I’d recommend is that you take your own group of preferably six. Being seated in such close proximity with complete strangers is not something I felt comfortable about, but I’d bump knees and elbows with friends any day. It is amazing to see how sight affects what we eat and how we perceive taste. I’m intrigued to try it out!